With the end of the year just around the corner it’s time to make sure that all your filing is in order. That means making sure you’ve got the facilities required to store your sensitive documents, such as invoices, accounts, and more. If you’re a business owner, you need to get your filing in order now. But it pays to get it right all the time. Studies show that 7.5% of documents get lost, and another 3% get misfiled. And professionals spend 5% to 15% of their time reading information – but finding that information can, in some instances, take up as much as 50% of their time! Sorting out your filing is not as simple as piling all your documents up in an archive box and forgetting about them. You need a proven filing system that makes it easy to access documentation as-and-when you need it. And that system needs to be kept in a durable, secure, fire-proof, housing that you can trust. Getting it right could help you to differentiate yourself from your competitors. Use colour-coded files – it might seem simple, but it’s a great way to differentiate between different types of document! Implement a sensible structure, with categories, sub-categories, and alphabetisation. It should be the kind of system that a stranger (or new employee) could navigate with ease! 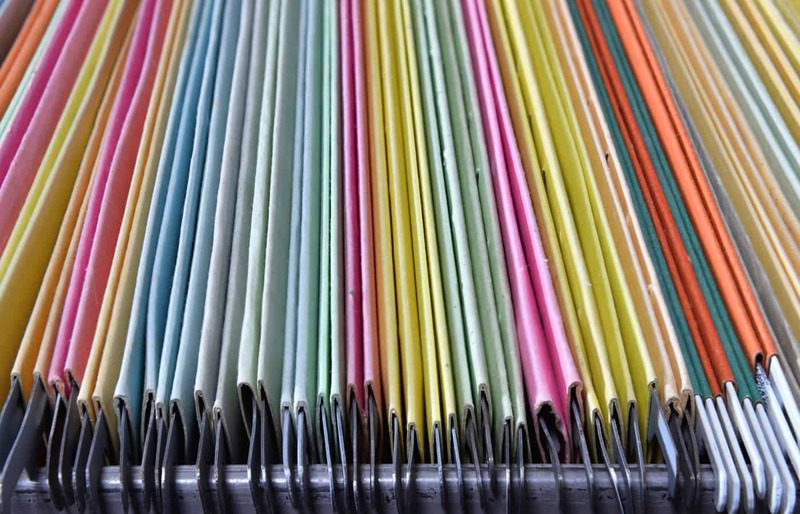 Different types of documentation have different lifecycles – so it’s important that your filing system can accommodate them all. That means keeping the data you need to hold for six years safe over that period – and it means being able to easily locate and remove data that you are obliged to destroy under the European Union’s General Data Protection Regulations (GDPR). Streamline stocks a wide range of modern filing cabinets that meet regulatory standards, offer paramount security, and are fire proofed to ensure your files stay safe in a worst-case scenario. As the end of the year approaches, we’re offering businesses that purchase filing cabinets from us a full set of suspension files at no added cost – getting you closer to that perfect filing system. And, when you find yourself holding on to documents that need to be disposed of, Streamline’s secure shredding service should be your first call. When it comes to sensitive data – particularly in our heavily regulated society – you can’t afford to take chances. Employing a professional shredder means you can focus on the things you’re good at, and rest assured that your back is covered. If you’d like to make an order, learn more about our first-rate filing cabinets, or enquire about our secure shredding service, please call 01295 250171.